AS a local cyclist I am compelled to respond to Robert Buick (Your Say, June 9). Cyclists understand that "conflict" or "confrontation" between themselves and a vehicle driver inevitably results in our injury or death, as we are the most vulnerable. However, road law forbids adult cyclists on footpaths, and bike paths are not always available where required, so we have to cautiously share "the same strip of roadway". Any observed or reported expressions of outrage by cyclists towards drivers results from the rare opportunity to respond to what we feel as near death experiences perpetrated by drivers. Robert needs to realise that such perceived expressions of "hatred" by cyclists are by far outnumbered by the seeming hatred that we experience from other road users almost every time we leave home on our bikes. While some cyclists might back up their words by waving a bike pump, drivers express themselves with their tonne of metal. 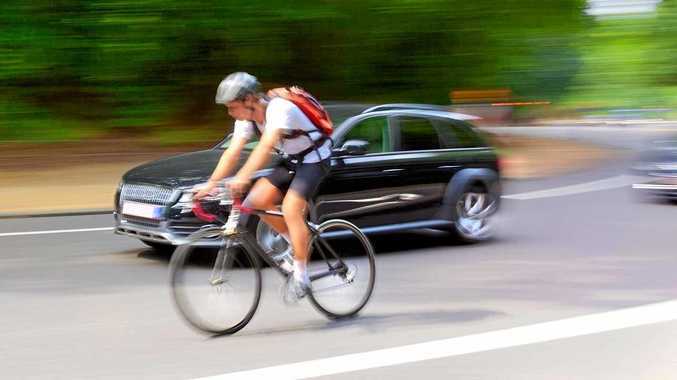 While most drivers are courteous and respectful to cyclists, some drivers seem to be susceptible to the influence of the radio shock jocks who demonise cyclists in an effort to increase their radio ratings. Robert's "suggested solution" contains its flaws, including the exception of licensing to perhaps 40% of cyclists and the dependence upon disclosure. I am happy to identify myself to police while cycling because the chances are that I would be complaining about a driver's actions. In fact, I and many friends carry our driver's licence while on the bike but this is to offer identification to police or paramedics if unconscious or dead. ONCE again we have the Chamber of Commerce complaining about an increase to the minimum wage. Even though it's widely accepted that nil or negligible wage growth is holding back the economy we still hear this commentary from business interests. The cuts in weekend penalty rates that were supposedly going to deliver more jobs was another example of business propaganda. A recent survey found that it had little effect on jobs growth. 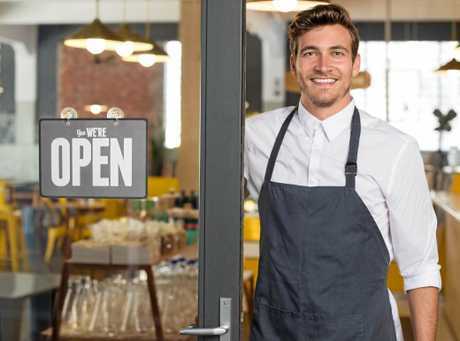 So you can only surmise the money cut from weekend workers' pay was pocketed by small business owners or paid out in increased dividends to large companies' shareholders. What road is this country going down when we take money from the lowest paid workers and re-direct it to higher paid individuals. So much for a growing economy? ONCE again we have heard Tresurer Scott Morrison spruiking the wonders of the growing Australian economy. Twenty-seven years of continuous growth is certainly an impressive statistic, and in itself it is quite an achievement. However, there is little cause for celebration for so many Australians. Wages are not growing and secure, full-time jobs continue to decline. Government benefits to the people who are most in need are not adequate to support even a basic dignified life. Public housing is not meeting demand and more people are homeless, including some people who would previously have never contemplated the possibility of homelessness. First home buyers are locked out of the market. Public hospital waiting times continue to grow. Public schools are not properly resourced and the TAFE system has been crippled by continual State and Federal cuts. The cost of living is outstripping wage growth for low income earners and large families. For the first time since the Second World War, parents are expressing concern that their children will have a tougher life than theirs. 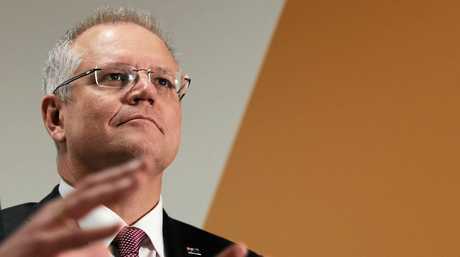 Despite the assurances of the Treasurer and the Prime Minister, more economic growth will not solve those problems. If economic growth in itself was the answer things would already be getting better, not worse. After all, 27 years is a very long time. The answer is not more growth or waiting patiently for the benefits to flow on to those most in need. The answer is new policies and priorities to share the wealth that has been generated by all that growth more equitably and compassionately across Australia. Wage earners need a fair share of the benefits of growth and they need a secure job. People on government benefits need a living income. A child's future should be determined by their talents and application, not their parents' income and our personal health should not be dependent on our personal wealth. In our growing economy we should all be looking forward to a brighter future, but that will not happen without a change of policies, a change of priorities and a change of government - both State and Federal. 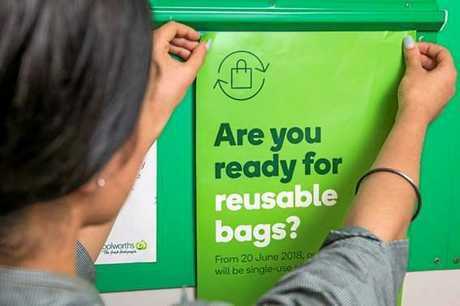 Reader questions the outcome of a plastic bag ban. SINCE your paper has been running stories about how good it is plastic shopping bags and soon plastic straws are being banned maybe, for balance, you should look at why some people are keen for plastic bags to continue to be used, based on worldwide studies. Particularly when paper bags are being promoted by some as a great alternative. This link is mainly about plastic bag use in Canada but most of the information is repeated in many other sites, banning plastic bags further harms the environment, not protect it. COMING from another country and having travelled extensively in Australia both as a tourist and a professional you come to realise that Australia is different to all other continents. Not that the people are special, apart from the outback aboriginals. We have all brought our different cultures with us and in general live as the europeans with a delightful addition from Asia. Where Australia differ is in its flora and fauna and its ancient landscapes. That gives us an obligation to look after this place and conserve as much as nature as we can. A great deal of the continent should be on the UNESCO World Heritage List. That means that at times we need to think carefully about what we do and what we bring into this country and the damage we can caurse by introducing feral plants and animals into this precious environment. The feral horses and other hoofed animals roaming through our high-country's national parks are responsible for a great deal of damage to the wetlands and the general vegetation found in these high areas. That means that these wetlands are no longer able to absorb run-off from rains. The consequence is frequent floods interspersed with long dry periods. We need to remove these introduced animals from nature as soon as possible to limit further degradation. That can best be done by culling or in some places by a round-up. 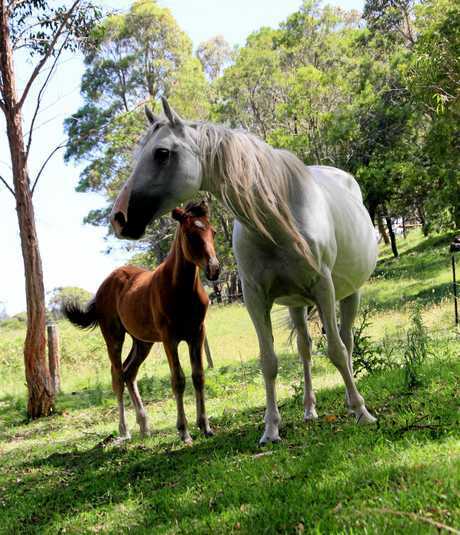 We have three beautiful horses from the Gay-Fawkes NP grazing with our cows. 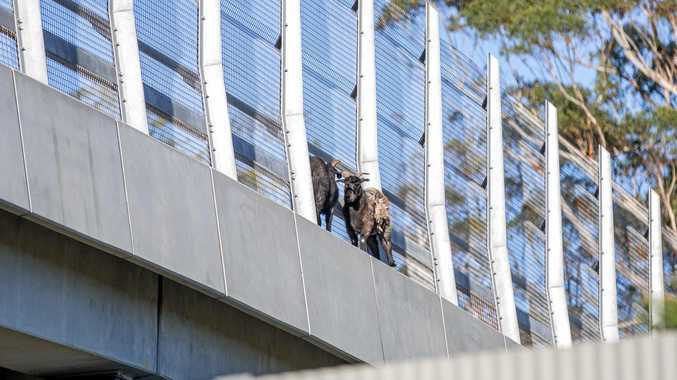 News NO, you're not going crazy, there really are goats on a Pacific Highway overpass bridge.